Social media hasn’t been all its cracked up to be these days with it having serious side effects on some users. With sources coming out stating “social media is damaging to the mental health,” why do members still use it? Are there any positive effects of social media on mental health? Should we be worried about these results? Today, we will take a deeper look at the correlation between social media and mental health. 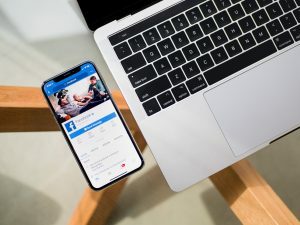 Some of the negative aspects that were found in studies show a link between time spent scrolling through social media apps and negative body image. This can be traced back to comments online from others or even jealousy brewed from others’ pictures. On social networks, you are fully exposed to the world if you post it. This can put you in a spotlight you didn’t necessarily want and based on your privacy settings anyone can comment on your post. Another study shows that receiving a high number of likes on photos showed increased activity in the reward center of the brain. So every time you get a like, it makes you feel a little happier, causing you to devote a few more minutes to the social network drawing you in. There are more downsides, such as cyber-bullying, fake friends, and less interaction with the real world. When using a social media platform, no matter who you are, you will always be at a potential risk. Social media doesn’t have all negative results. Some of those who suffer from social awkwardness or anxiety find it easier to communicate over the web, making it easier for them to learn to interact. Others are able to meet those who are more like-minded and find someone who is similar to them, which could’ve been harder in real life. Just as social networking can cause personal humiliation, it can be the motivation that gets you going. Following accounts who share positive quotes, photos, and posts can always get you pumped up for the day. Following positive people can make you get out more or even make you try harder to work on yourself. At the end of the day, the negatives and positives can be balanced out by limiting time on social media. Don’t get drawn in for too long, and if you recognize signs of poor mental health problems, log off. You don’t need social media to enjoy life, but if you have a couple minutes to kill, hop on.